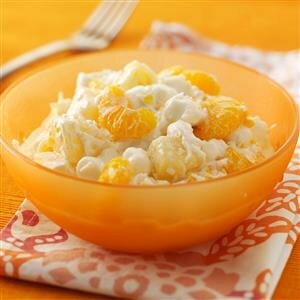 In a large bowl, combine the oranges, pineapple, marshmallows and coconut. Add sour cream and toss to mix. Cover and refrigerate for several hours. Makes 4 servings.